Being there. When people have children they often take some sort of maternity or paternity leave to bond with and care for their newborn. I assert the same is true for anyone getting a puppy. It is absolutely important to bond with your doxie in that first month and the surest way to do it, is to simply be there. Picking up a puppy on Friday and then returning to your regular work schedule on Monday, abandoning your puppy at home for 8 or more hours a day, certainly will set the stage for disaster and many challenges later in the doxie’s life. Planning ahead and scheduling time off from work to be with your new doxie puppy is a great investment that will yield many happy returns in the years ahead. Lily will be part of a new puppy series where we’ll highlight some of the basic requirements to successfully adopting a dachshund puppy. Enjoy the photos and video, and stay tuned for many more to come. 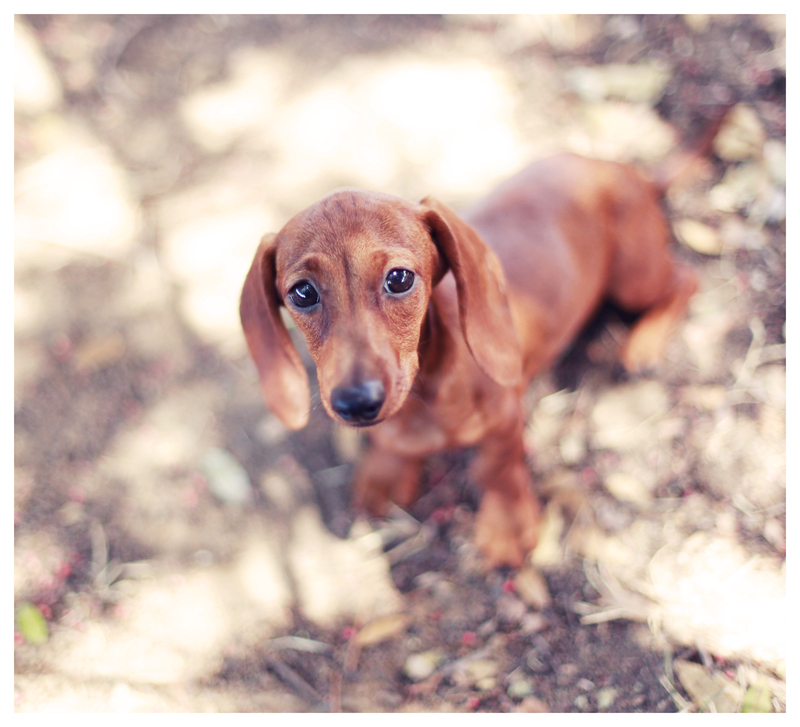 This entry was posted in Rescue and tagged #dachshund, #red dachshund, #rescue, #smooth dachshund, doxies. Bookmark the permalink. wish I was retiring now – first, just to stay home with my two rescues, Hannah & Cowboy (13 & *6 – * a double dapple with an extremely sweet personality), and second to be able to add sweet Lily to the pack. Hannah has the experience of helping – as Cowboy is deaf and sight impaired . . . and Cowboy could share his love of all that comes his way. Some family will be very lucky, especially having Rufus & Emily as mentors. I have always been home with my Doxies. Took them on vacation every year. They are a different breed of dog and you really have to know what you are doing with them. Too many of them are out there to be rescued. They are so cute that no one can resist but for the dogs benefit you cannot let them call the shots. I am looking for an older dog if not I will do the puppy thing. Every Doxie I have ever had I stayed with 24/7 365 days. Yes ,the first year is that important to me. Lily is soooooooo cute. She is so spunky walking with the leash in her mouth. I wish that I could adopt her. My sweet Gretchen is a tweenie and I caught her opening the pizza box a few days ago and helping herself to a slice! The boyfriend thinks it is cute to offer her people food and let her help herself. Guess what I am doing today? Going to help a women I do not know get her female mini named Chole back on her leash. It seems she has been cruising the former neighborhood for a few days. I shall go armed with balogna! I loved watching them play! It brought back many happy memories! A puppy is a lot of work…training where to pee. And guess what I’m on the 2nd floor of our apartment building, I had to train my dog to “wait till we get outside” He did great until he got sick. I’m disabled, so I’m always home. but, I’m also by myself since my boy, Peanut, died, 7-months of grief. thank you for showing the play video. SHOW MORE PLEASE! I have 2 Doxies Turley and Dixie I recently on May 17th lost Sadie my 3rd baby to a brain tumor that ended her life very fast it was gut wrenching and Im still at such a loss. I am at the moment fostering 3 Chiuhaha puppies for Foxy Doxy in Atascadero. Thank you for sharing the Video it was fun to watch. I think 3 is a good # but im not ready for another just yet just dreaming a bit. I am so very sorry for the loss of your beloved Sadie. 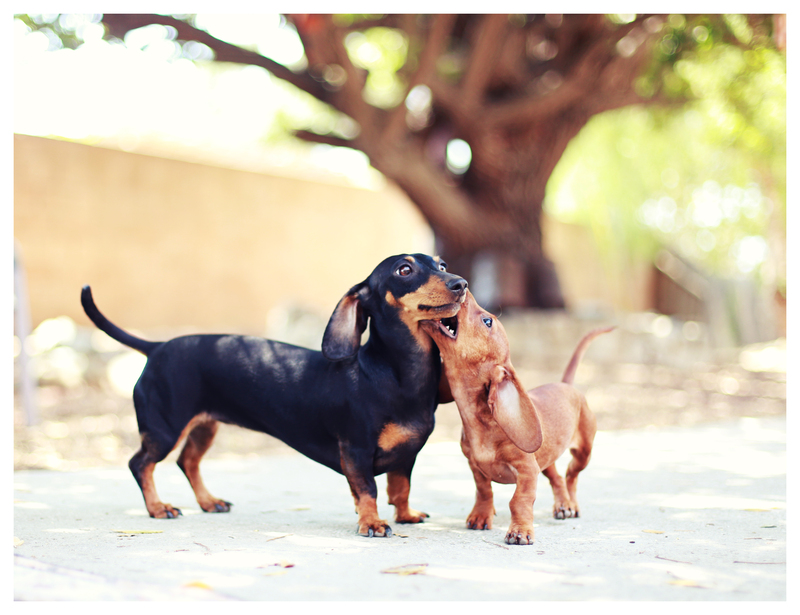 Doxies are so very special and I think that it is because they love us warts and all. Take time to mourn and share your story with you babies at home. I am sure they will give you many kisses to make the hurt stop. Hang in there. They are so cute with the leash and just all around cutie pies!! Lily is beautiful. I have a mini doxie Abby who is 5 months old and looks exactly like Lily. I am home raising my Abby 24/7. I love her so very much. We lost our Choc. Lab last Dec. and I had said no more dogs. But it did not feel right without a dog in the house so I told my husband that we can get another dog but it has to be a small dog. A friend from church had a litter and gave me my little angel for my Birthday. JoAnn G.
This is so true. I can’t imagine owning any other breed. I have now had 6 doxies, each different, but so loveable and quite independent. They are truly a huge part of our family. I have been with my first two mini dachshunds from day one. They will be 5 on 11/07/13 . It was still a lot of work with them. They are extremely difficult to potty train, I never worked so hard in my life potty training any dogs I have ever owned ! I adopted a rescue tweenie this past April. She was a lot of work too. She was into beating up my sweet little male. I was in fact going to send her back to the rescue group but instead worked with their trainer She has truly been a great little girl since then. I started fostering with the group and she ended up “taking” care of my fosters. She actually led my first foster who was partially blind around the house and outside to potty! Awe. What a sweet story. 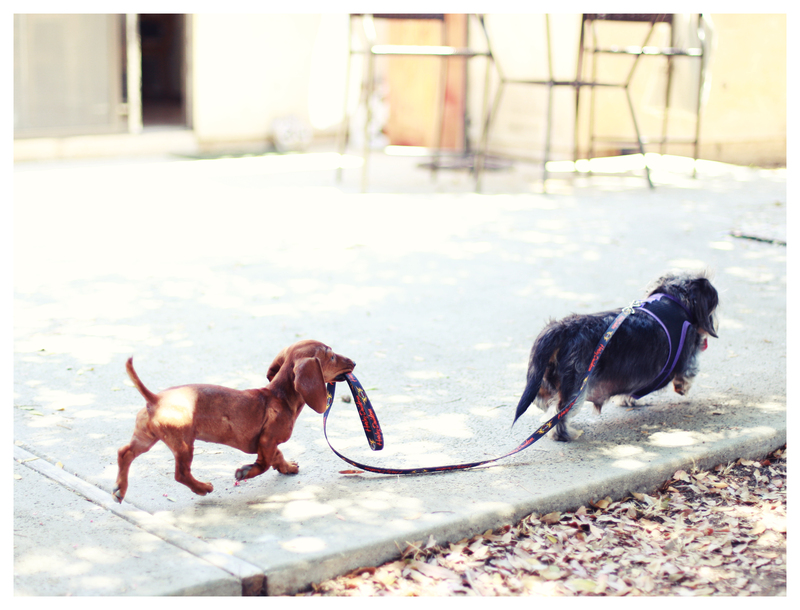 I was able to potty train my three dachshunds really fast, but there’s a secret to it – you must watch them / short leash them and/or crate them for the first 30-60 days until they understand the rules. 🙂 Glad you didn’t give the girl doxie back but remained steadfast in your commitment. I’m certain she was worth the extra work. She’ll be loyal companion for life.